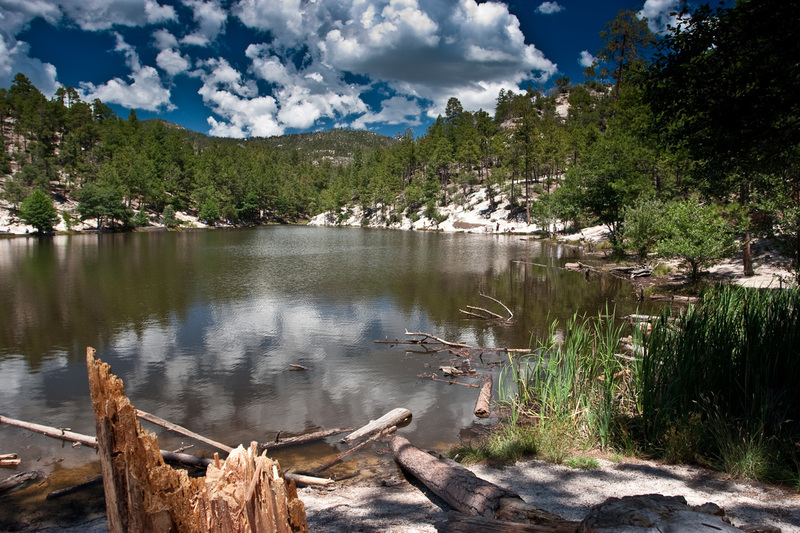 Although the first day of summer is technically the Summer Solstice on June 21/22, in the Catalinas it seems to start with the beginning of the Monsoon, technically June 15 on the calendar, but in reality whenever it begins to rain in earnest. The pre-monsoon late spring is a time of pleasant dry warm weather, but high fire risk, and any year with no fires before the Monsoon is truly a good year. As the Monsoon rolls in, humidity rises, and afternoons become shows of flash and rumble, with rain or hail. The mountain continues to green through July, with Aspens filling out their leaves, and ferns and Cow Parsnip sprouting close to springs and creeks. The bird population grows, many of them migratory visitors hanging out for the summer, or dropping by for a rest on their way to Mexico. Wildflowers come into their own in July, and Evening Primrose decorate the main highway - looking their best at night or on overcast days when they cannot decide if it is really day or night. 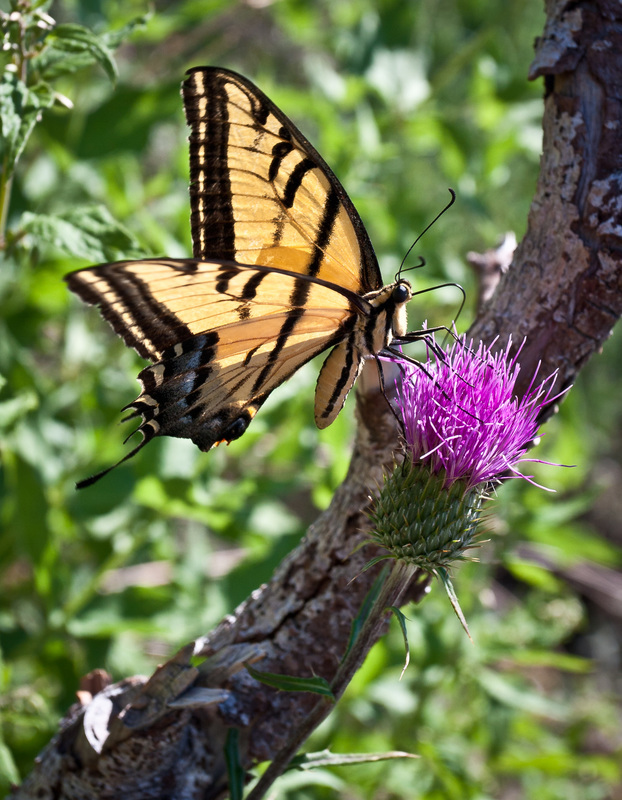 Two-Tailed Swallowtail butterfly, the Arizona State butterfly. August 2012, shot near the Control Road, just north of the Mt. Lemmon Fire District Station. 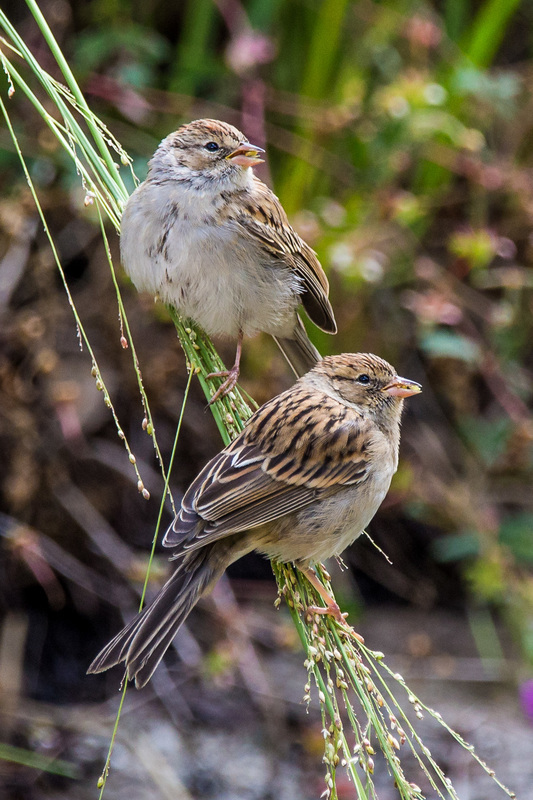 A pair of Brewer's Sparrows, September 4, 2015, in grassy area adjacent to Middle Sabino Road. 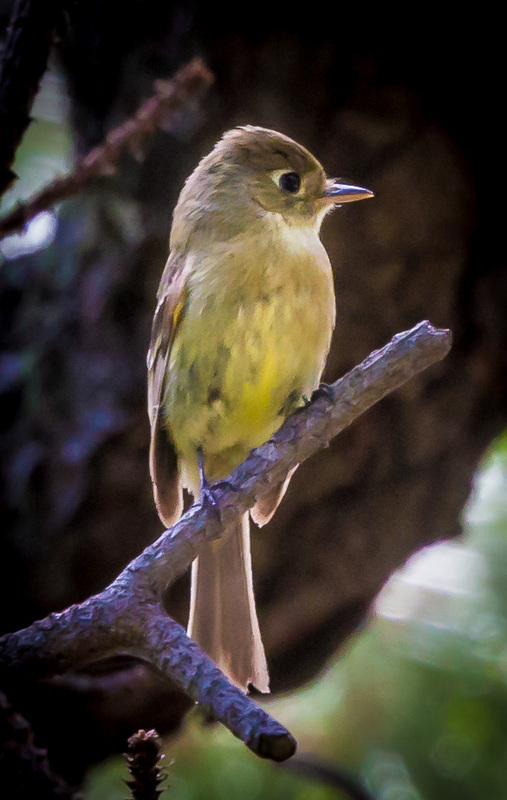 Cordilleran Flycatcher, adjacent to Sabino Creek in Summerhaven, July 2015. 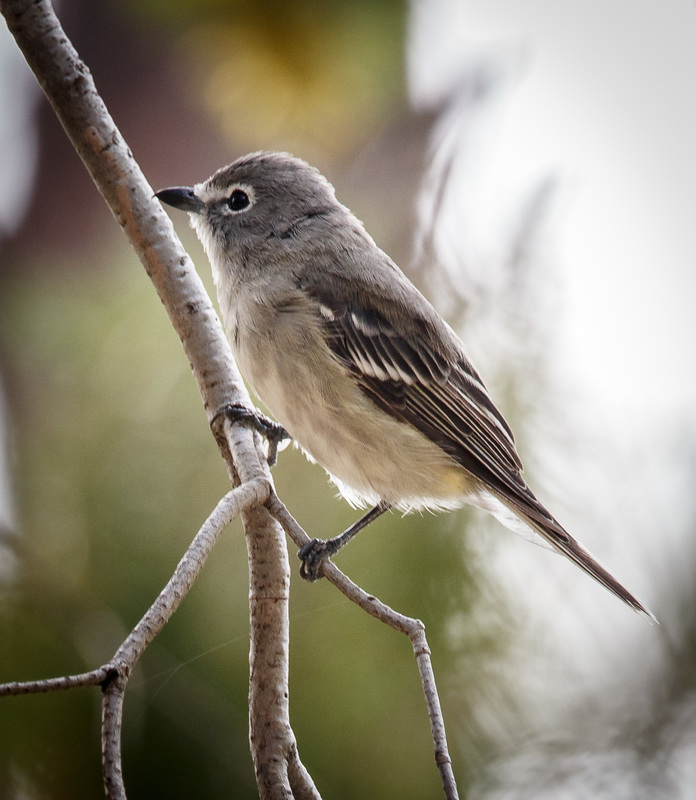 Wintering in Mexico, their summer breeding grounds extend into SE Arizona and go all the way up to Canada. See Cornell Lab of Ornithology All About Birds. 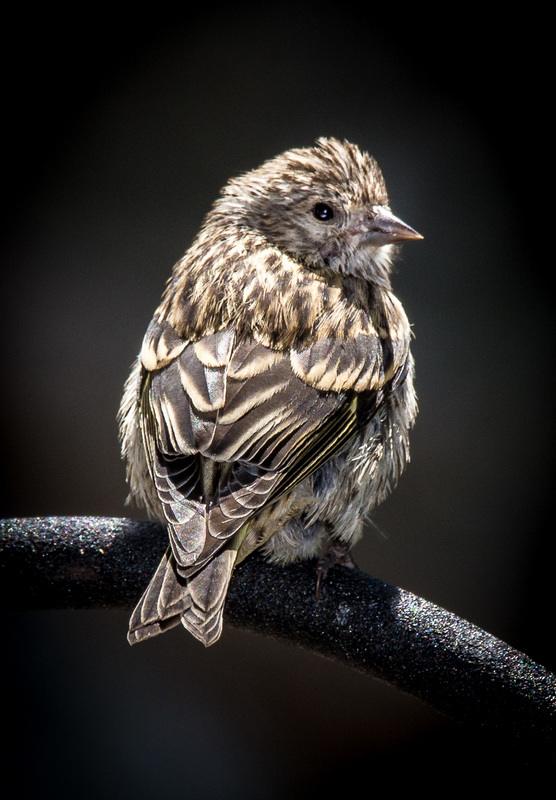 Pine Siskin, August 24, 2015, Summerhaven. A resident bird, seen in numbers at our feeder. See All About Birds. Rose Canyon Lake, August 2010, map below. The lake is stocked with Rainbow Trout during fishing season, spring to summer. See this link for the Wikipedia entry ​Rose Canyon Lake and this one for AZ Game and Fish Az Game and Fish: Rose Canyon Lake. Note that their map is definitely not to scale! Black-headed Grosbeak, Male. Summerhaven, August 24, 2015. Grosbeaks have been common visitors this past summer.